★ Over 5 million users! Discover what the future holds for you. 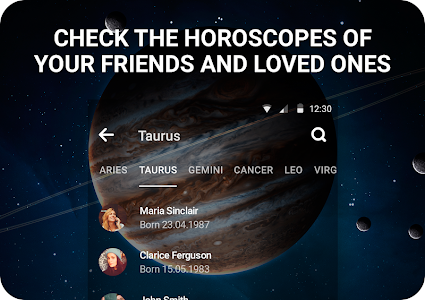 Get an insight on what to expect for love, work, wellbeing and good fortune for today, tomorrow, the week or in 2018 with free daily horoscopes app. 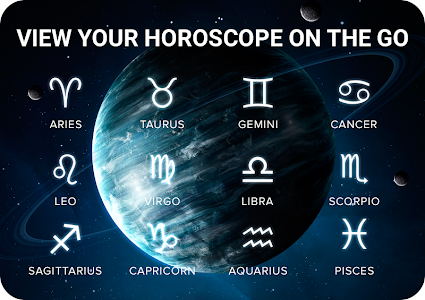 Follow your zodiac sign and observe horoscopes of friends and loved ones'. 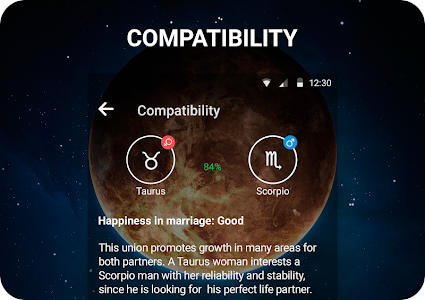 ★ View zodiac compatibility – select the zodiac sign of your special someone and discover aspects of happiness and harmony in your relationship, success in mutual business and outlook on family. 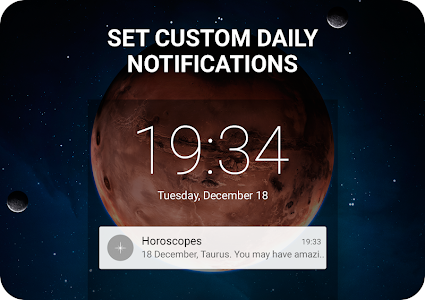 ★ Set custom push notifications and never miss an update. ★ Share interesting findings on social media. 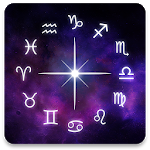 We partner with the most experienced astrologers to provide accurate data and predictions for Aries, Taurus, Gemini, Cancer, Leo, Virgo, Libra, Scorpio, Sagittarius, Capricorn, Aquarius and Pisces. Thank you for your rates and reviews! Your recommendations help us make the app even better. Have got an idea or a bug report? Email us at [email protected]— every letter matters! 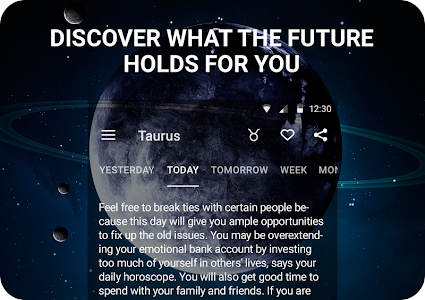 Similar to "Horoscopes – Daily Zodiac Horoscope & Astrology"